In the post, Trishneet Arora talks about growing up with a love for gadgets and computers. In a day and age when college cut-offs have sky rocketed and students try their best to achieve the highest possible percentages in school, this success story of a highscool dropout is a must read. 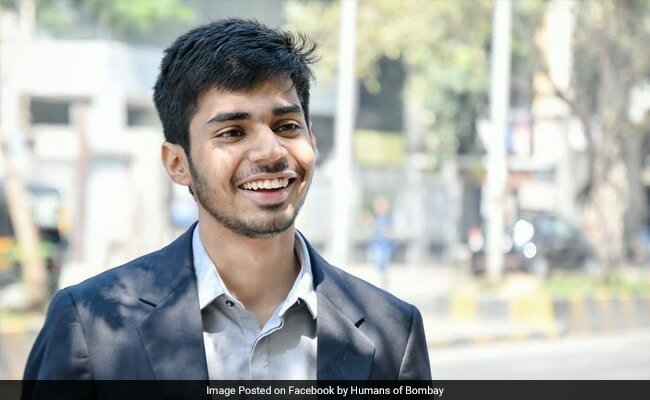 A post shared on the Humans of Bombay Facebook page tells the inspiring story of Trishneet Arora who dropped out of school in class eight and went on to become a cyber-security expert. At 23, he runs his own company with offices in India and Dubai. In the post, Mr Arora talks about growing up with a love for gadgets and computers. "My father became worried when he saw me being on the computer for hours on end- he tried putting a password but by the end of the day I had figured out a way to bypass it. Eventually he moved from being annoyed to impressed and ended up buying me a new system," he says on Facebook. Soon he became the go-to person for all computer-related issues for his neighbours. "Given that I was so consumed by this world of computers... I failed the 8th standard," he says. "I just didn't understand History and Geography," he adds. Seeing his love for computers, his parents allowed him to drop out of school to pursue his passion. "I started with small projects - fixing computers and cleaning up software and at the age of 19, I received my first big cheque of 60,000 Rupees," he says. He saved his money to ultimately start his own company. Mr Arora describes himself as an ethical hacker who hacks people's systems to point out flaws in their cyber security. "I'm currently the IT advisor to the Punjab State and have held training sessions for the CBI, Punjab State and Crime Branch. Our clients vary from Reliance to government officials and we've recently expanded to have offices in 4 cities in India and 1 in Dubai," he says. But that's not all. Mr Arora has some huge aspirations for himself. He hopes to soon build a billion dollar cyber security company. That's not all. Mr Arora attributes much of his success to his parents. "I think I'm here today because when I failed, my parent's didn't scream or force me to take more tuitions - they understood me and let me be. I'm not saying education isn't important - all I'm saying is how you choose to learn can vary and that failing at school, doesn't mean you're a failure," he says. "A role model indeed... as much for the kids and more so for the parents!" says one commenter on Facebook. "Well today I have an exam. So thanks for the encouragement that last sentence of yours "failing in school doesn't mean you're a failure" is motivation goals ! I hope you make it to the billions don't lose hope and continue working as hard as you are currently," says another.